For too long, Singaporeans have been vexed by the paradox that is the relative sizes of our 50-cent and $1 coins. The five-cent coin is bigger than the one-cent coin. The 10-cent coin is bigger than the five-cent coin. The 20-cent coin is bigger than the 10-cent coin. The 50-cent coin is, as you might have guessed, is bigger than the 20-cent coin. So based on this logical progression, you would expect the $1 coin to be bigger than the 50-cent coin. Well, here’s a shocker – it’s not. The $1 coin is 22.40mm in diameter, making it smaller than the 24.66mm 50-cent coin by more than 2mm. It’s crazy but it’s true. At least the $1 coin is bigger than the 21.36mm-diameter 20-cent coin, though by only 1.04mm. So it’s bigger, bigger, bigger, bigger... then suddenly smaller. What kind of sick mind game was the Monetary Authority of Singapore (MAS) playing with us when it introduced the smaller $1 coin in 1987? How can something smaller be worth more than something bigger? It’s like a society that places more value on babies than on the elderly. The one saving grace that prevented us from descending into total anarchy is that the $1 coin has a different colour from the 50-cent coin. That helped me (and many other Singaporeans, I suspect) to make sense of the size aberration by rationalising that the $1 coin must be made of some gold-like metal (actually aluminium bronze) that’s more precious than the silver-like metal (actually cupro-nickel) of the 50-cent coin, and so is worth more despite being smaller. Good news! 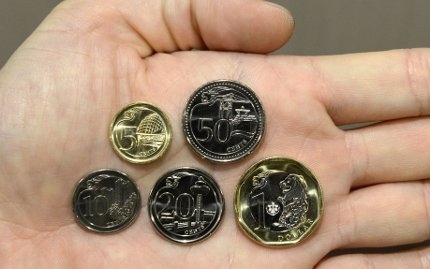 The new $1 coin is 24.65mm in diameter, more than 1mm bigger than the new 23mm 50-cent coin. 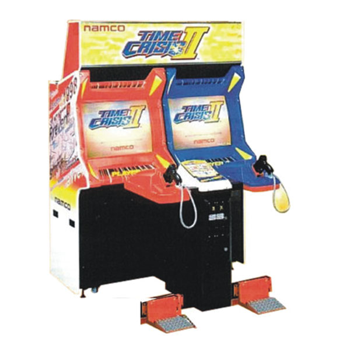 So what if the new coins reminded me of the tokens I used to play Time Crisis at the arcade? MAS also gilded the lily by making the new $1 coin bi-metallic and two-tone, which is a first, setting it apart from every other circulation Singapore coin old and new. But even with the radical new look, I noticed something familiar about the new $1 coin that’s not found on the other denominations. Not the Chuck Norris movie The Octagon, but the eight-sided engraving that’s also on the current $1 coin. 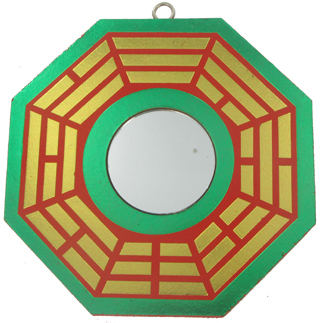 The octagon on the coin is supposed to resemble the Chinese ba gua, which has something to do with fengshui and should not be confused with the more delicious Chinese bak kwa. The story goes that back when the MRT system was being built, then Prime Minister Lee Kuan Yew consulted a fengshui master, who advised that to ensure success, every Singaporean must carry a ba gua. And so the octagonal $1 coin was created. 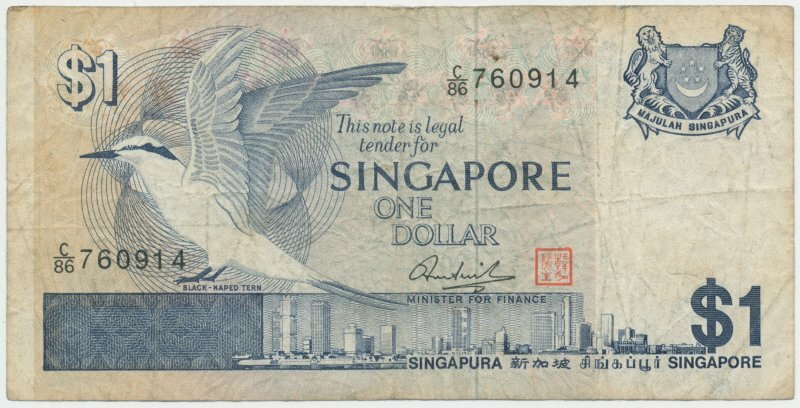 While Singapore had $1 coins before then, they were non-octagonal and the $1 note was more commonly used. 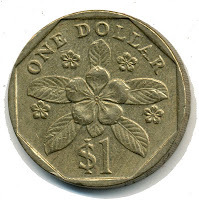 Nowadays, the $1 note is practically extinct while everyone carries the ba gua – I mean, the octagonal $1 coin. And look at how successful Singapore and the, uh, MRT have become. It makes me wonder why they don’t put the octagon on all the coins, not just the $1 coin. Apparently, even some of the currency notes also have the octagon somewhere. Mr Lee has since laughed off the idea that he believes in fengshui, saying it was “utter rubbish” that people thought he did. Still, I can’t help but muse, why introduce the new coin series with the new octagonal $1 coin at this time? Is Singapore embarking on some major new national project where some good fengshui would come in handy? Hmmm, didn’t Singapore and Malaysia just agree last week to build a high-speed rail link between Singapore and Kuala Lumpur by 2020? Coincidence? No, wait. There’s an even bigger project where Singapore needs all the good fengshui we can get. On the same day the new coins were announced, the Government also announced that the Office for Space Technology and Industry has been set up to oversee the development of Singapore’s local space industry. That’s right, we’re going into space. You can’t get any bigger than space. Well, that’s one way to tackle the overcrowding problem. In space, no one can hear you honk your car horn. 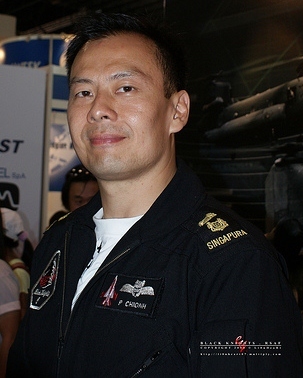 There’s also a plan to send a Singaporean into the space in 2015. He or she must have a pilot licence. May I suggest Zoe Tay’s husband? He’s the only pilot I can think of. Whoever is chosen to go, just make sure he or she carries the new $1 coin along. You know, for luck. The coin will be easy to spot. It’s bigger than the new 50-cent coin – as it should be. Hey, is there any bak kwa left over from Chinese New Year? Did you notice the last series of paper notes (not the plastic one) every one has a octagonal hologram. If you look at a certain angle you can see a lotus flower as well. Just for your info. Cheers.